Well, Rick is still there, for now, though he’s gained a few grey hairs since this season is supposed to take place after a time jump. Lauren Cohan is also still playing Maggie, and there’s Daryl with a stockpile of arrows. Michonne and Carol too…..and a surprise guest star, THE CAPITOL BUILDING! It’s seen better days. This strongly hints a portion of TWD, if not the full season, will take place in Washington DC and that, possibly, the characters migrated there during the time gap. If you look at the image more closely, you can spot a certain helicopter. This could mean we’ll finally learn more about that thing. Now to Fear The Walking Dead. For those of you who skipped out on Season 4A because the previous three felt uninspired, to say you’ve missed a lot is an understatement. 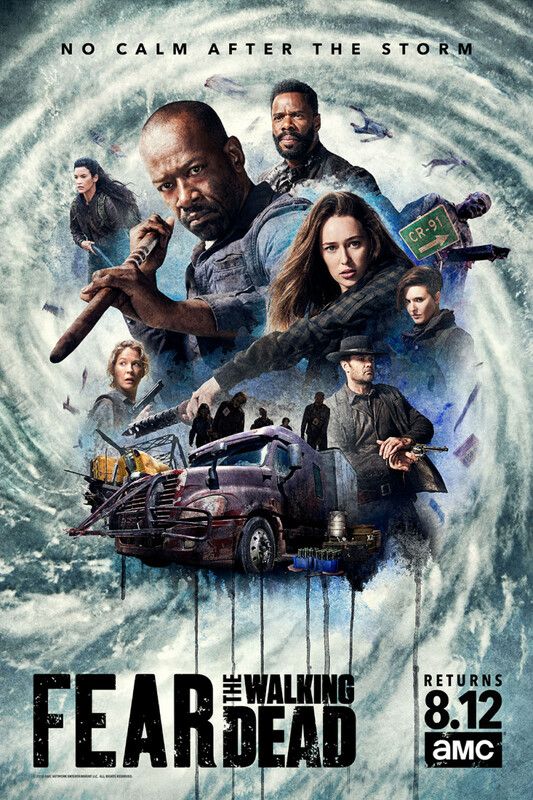 The show went through a MASSIVE overhaul this spring, adding TWD’s Morgan and a few new characters while killing off most of the original cast (only Alicia remains). They seem to be trying to remake it into The Morgan Show, which to be honest is fine with us. This is the MORGAN SHOW! There aren’t as many hints about the upcoming season here, unless they’re implying a hurricane is on the way (the wording is that the storm has PASSED…) But we do get a specific return date for the season: August 12. Between then and now, you might want to make time for the previous eight episodes if you haven’t seen them yet. We’re serious — The Morgan Show is great. 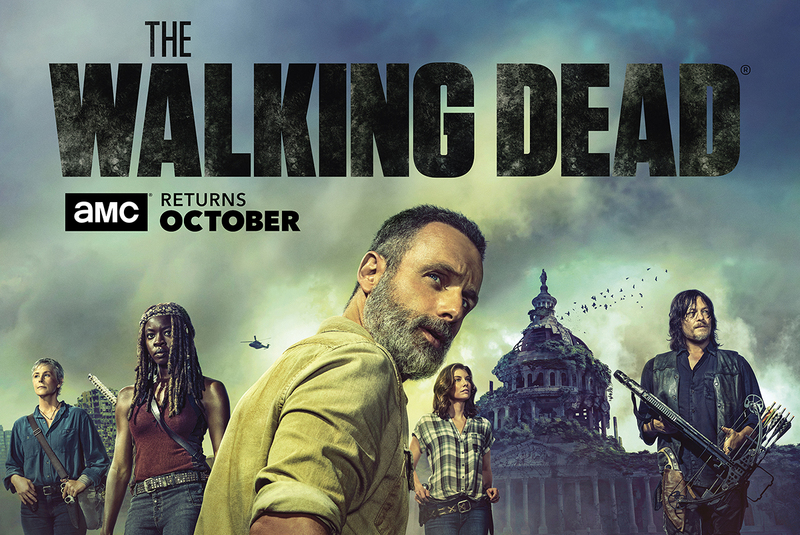 As for regular flavor Waling Dead, it returns this October on AMC.